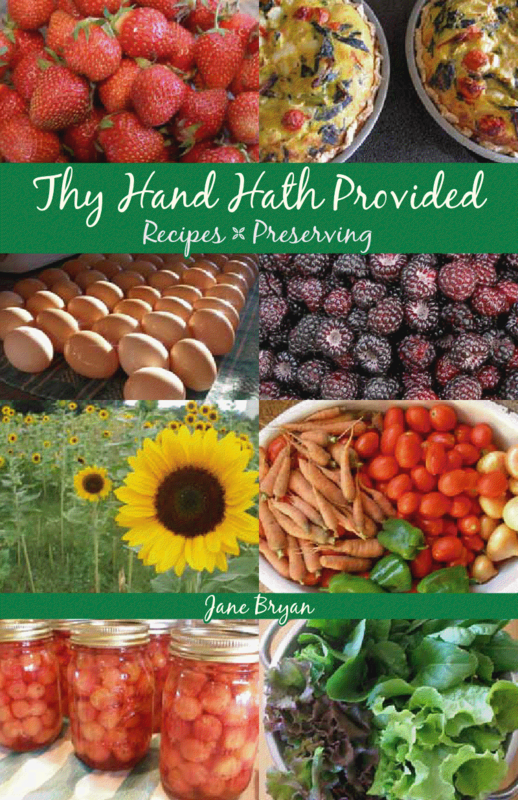 Thy Hand Hath Provided: Discounted Thy Hand E-Cookbook on Monday!! Discounted Thy Hand E-Cookbook on Monday!! Update 5/5/14: I am a bit speechless. What I set up to be a FREE (with a gradual increase in price throughout the week) e-book schedule has not registered correctly. Instead it's up now for .99. I feel terrible- especially for all of you who helped spread the word already! I am unable to change it but hope that .99 will still be cheap enough for many of you to enjoy. You can find it here: Thy Hand Hath Provided Cookbook. Please accept my apologies. I feel terrible! If you get to the party later in the week, don't worry! The cost will stay low and slowly inch up until it's 4.99 on Saturday, May 10th (and then back up to its original price of $9.99 on Sunday, the 11th). You'll have the whole week to get an e-copy at a huge discount! If you would be so kind as to help spread the word on Monday, I would SO appreciate it. If you blog, please blog about it. If you do facebook or twitter or myspace or whatever-else-might-be-out-there that I don't know about and share about the upcoming week's e-book deal, leave me a comment on my Monday's reminder post telling me how you shared about it and I'll enter you in a drawing for a free spiral-bound copy! If you share about it two ways, leave me two comments! I'll randomly select a winner next weekend (please don't forget to leave your name or some initials so I can identify you if you win). Please pop over here:Thy Hand Hath Provided to read more about the e-book and then bookmark it so you can snag it for cheap and help spread the word next week. I want to see how many copies I can give away for free!! Wheeee!! Thanks in advance for your help and have a wonderful weekend! I am so excited the e-cookbook will be free for a day! I have followed your blog and considered buying the spiral-bound copy of your cookbook for a long time. I shared this blog post on my Facebook too. Would be thrilled to win the spiral-bound copy!!! I pinned this tonight, May 2nd and will be down-loading a copy on Monday!! Wow, what a wonderful gift! I have a post scheduled for Monday to help you get the word out. I checked it out, but it doesn't say it's free. ? It goes free at 8:00am PST, so 11:00am EST (Amazon's doing). Please check back a little later and it should be free (I'll update the post above). Thanks for checking, Nese:-). I will be so happy to have a copy of your cookbook..I spread the word over at " An Adventure A Day " blogspot. Good luck today. I shared it on facebook. Can't wait to get a copy!